Since 2006, Apolo & Hernandez, Foot and Ankle Surgery has been providing patient care to South Florida. We offer comprehensive consultations and diagnostics for Foot and Ankle Pain, Sports Injuries, Diabetic Foot Care, Wound Care, Arthritis of the Foot & Ankle, Pediatrics Foot Care and more. We also offer treatments from Platelet Rich Plasma (PRP) to stimulate healing of bone and soft tissue to Keryflex Nail Restoration to aesthetically assist your nail restoration. Patients can expect highly tailored programs and treatment regimes that aim to treat each foot or ankle condition, while making sure the patient’s life is impacted as little as possible. Our goal is not to scare you with hundreds of pictures or list of ailments but to make it simple for you. If you have any questions, pain or are simply not sure. Call or schedule and appointment on-line today for all of your foot and ankle care needs. 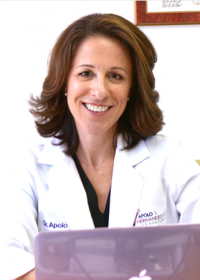 Dr. Apolo leads the wound care, infectious disease and pediatric practice. She treats patients for a variety of reasons including foot pain, athlete’s foot, gout, dermatology and planter fasciitis. Dr. Hernandez D.P.M leads the surgical practice. 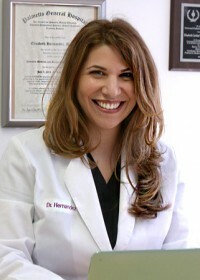 Her areas of clinical expertise focus on total ankle reconstruction, trauma surgery, foot surgery and limb salvage.